Go ahead, close your eyes and think about parades. What is the first thing that comes to mind? Did you picture a big city, marching bands, clowns, and balloons? The Liberty Parade is a different type of event! The event is designed around the picturesque mountains and the New River. 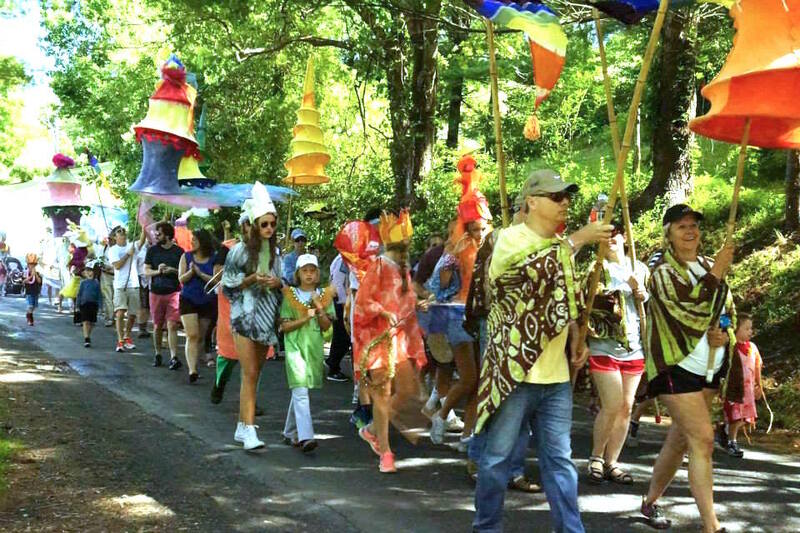 Instead of marching down a busy city street the parade runs along lazy Todd Railroad Grade Road through historic downtown – about the distance of 6 city blocks – and culminates in the park with live music, dancing and food. You can choose to join in the parade or simply watch and cheer it on. No matter what you chose, this parade is like no other. You will love it! The Liberty Parade is put on by the Elkland Art Center and many volunteers as a way to involve the community and visitors in a fun and creative way to celebrate the 4th of July. The Liberty Parade embodies all of the elements that make Todd, North Carolina, the special place it is. 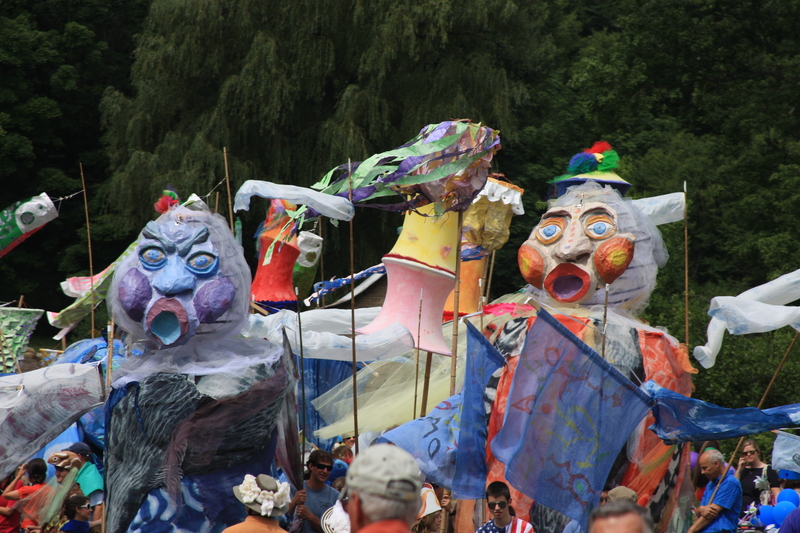 The New River and its ecosystem are depicted through the large puppets, costumes, banners and music that are created to support each year’s theme. What is the 2016 Liberty Parade theme? This year the Liberty Parade theme is Sound. This plays on the sounds of the New River, wildlife, and nature found in Todd, as well as the importance of listening to one another. How does it work if you want to participate? Not only is the event free, costumes and props will be laid out in advance at the corner of highway 194 and Todd Railroad Grade Road (otherwise known as the Hornbaker’s field) for all to choose from. Getting read for the parade is as much fun as walking in it. Participation opens up a window to make new friends, learn about the community, and to be a part of something bigger than ourselves. To put on a great parade takes more than a little creativity. The event can cost around $15,000 to put on! There is no charge for the event, but donations in any amount will help defray the costs of the parade and show your appreciation to Elkland Art Center and the Todd community. Help the Elkland Art Center reach their crowd funding goal of $10,000 by donating. So where are you spending the 4th of July this year? We hope you come to Todd to celebrate with us in the Liberty Parade! Emma is a visitor and lover of Todd. This spring she jumped on board to help with the redesign of toddnc.org and be a social media guru for the TCPO. Emma is looking forward to the Liberty Parade & the Summer Concert Series this summer.